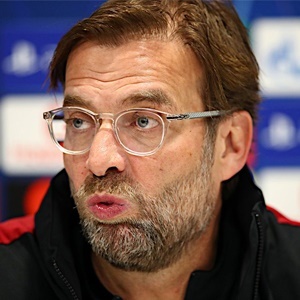 Liverpool - Liverpool face arguably the toughest challenge remaining in their quest to end nearly three decades without a Premier League title when a Tottenham side with their own desperate need for points visit Anfield on Sunday. Pochettino hailed the venue as "the best stadium in the world", but its unveiling at a reported cost of 1 billion has only emphasised the need for Spurs to make sure it hosts Champions League football next season. "I'm sure all the players up there will be looking to get that award," said Kane. "But it's just a bonus. As a striker I'll be trying to help my team as much as possible."